Misha Defonseca, now living in Massachusetts, has admitted that her best-selling book was an elaborate fantasy she kept repeating, even as the book was translated into 18 languages and made into a feature film in France. 'This story is mine. It is not actually reality, but my reality, my way of surviving,' Defonseca said in a statement given by her lawyers to The Associated Press. This latest literary hoax is likely to trigger yet more questions as to why the publishing industry has such a poor track record of fact-checking. 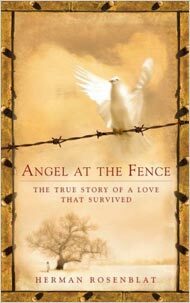 Herman Rosenblat, said he first met his wife while he was a child imprisoned in a Nazi concentration camp and she, disguised as a Christian farm girl, tossed apples over the camp’s fence to him. He said they met again on a blind date 12 years after the end of war in Coney Island and married. After several scholars and family members attacked Mr. Rosenblat’s story in articles last week in The New Republic, Mr. Rosenblat confessed on Saturday to Ms. Hurst and Mr. Salomon that he had concocted the core of his tale. Ms. Hurst said that in an emotional telephone call with herself and Mr. Salomon, Mr. Rosenblat said his wife had never tossed him apples over the fence. By denier "logic", if a man falsely claimed to be a soldier in WWs 1 or 2 that means that these wars never happened. Deniers use a "convergence of doubt" to debunk the overwhelming evidence from all involved of extermination, very little can be explained by the usual "coercion/torture" claims. 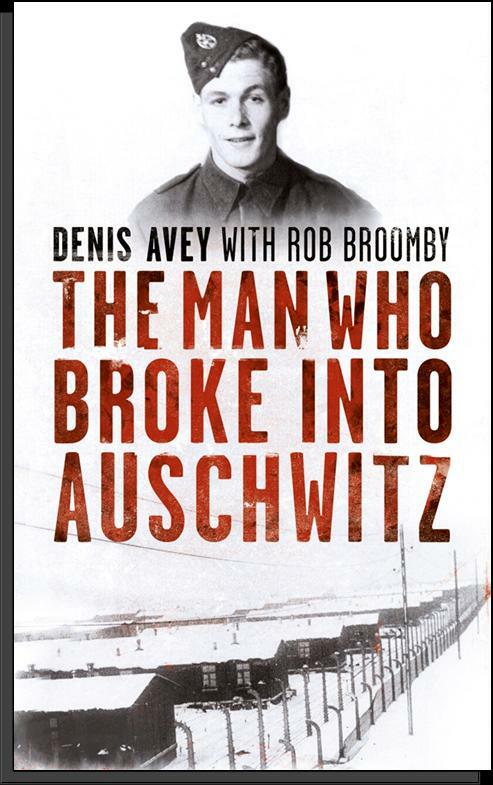 Dennis Avey was awarded a six-figure advance sum for his ‘I broke into Auschwitz’ book, much hyped in British national newspapers and the BBC, in 2009. But, some wondered why no-one had heard about this daring exploit, for the previous six decades? His book, published in ten different countries and then translated into 14 different languages, seemed rather similar to an earlier one, which Avey omitted to mention: John Castle's The Password is Courage about Sergeant-Major Charles Coward. Also later demonstrated to be fake. The purpose in promoting Avey’s story seems to have been partially to help re-elect Labour in 2010 by appealing to the Jewish vote, and to re-emphasise for new generations the Holocaust mythology. Maybe Avey just could not tell the difference between his real memories and those he had made up. - Professor Kenneth Waltzer, director of the Jewish Studies Program at Michigan State University and world authority on the Nazi concentration camps: "The pattern of sustained silence, despite interviews, and then the tumbling out of the story does indeed raise suspicions." - Dr Piotr Setkiewicz (head historian at Auschwitz) said that he did not believe Mr Avey’s story of the swap: "As there are no testimonies by other survivors, I certainly would not include this story in any book that I wrote." - The World Jewish Congress "deeply concerned" that Avey’s story "...is exaggerated if not completely fabricated"
- Irena Steinfeldt, spokeswoman for Yad Vashem: "We went through several testimonies of Jewish inmates, and none of them mentioned that it happened. There was nothing to substantiate it." There are fake memoirs by false Vietnam veterans ergo the Vietnam War never happened. "Cherry picking, suppressing evidence, or the fallacy of incomplete evidence is the act of pointing to individual cases or data that seem to confirm a particular position, while ignoring a significant portion of related cases or data that may contradict that position. It is a kind of fallacy of selective attention, the most common example of which is the confirmation bias. Cherry picking may be committed intentionally or unintentionally." - Wikipedia. All been-there does is trawl the internet for that which confirms his believes. Any challenge to such is dismissed as dishonest or results in a lecture about opening your mind. That might not be all that he does Nessie...but it is a fair proportion of it. Cerdic wrote: By denier "logic", if a man falsely claimed to be a soldier in WWs 1 or 2 that means that these wars never happened. No, it means he is a liar, just like Misha Defonseca, Denis Avey, Irene Zisblatt and all the other so-called "survivors". Here's how it works. All survivors lie. Except when they say things Revisionists can use, then they are reliable. Hermann Rosenblatt engaging in a little chutzpah on national television. "It wasn't a lie, it was I was my imagination."